The Driving Standards Agency (DSA) and the Vehicle and Operator Services Agency (VOSA) are to merge into one government agency, it has been announced. 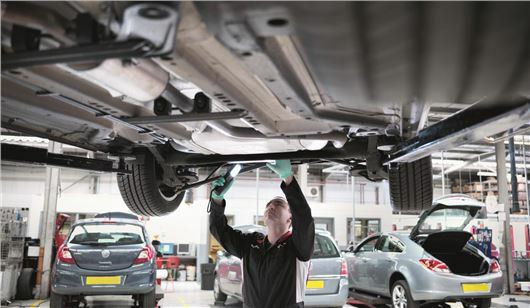 The new agency will be called the Driver and Vehicle Standards Agency (DVSA). Currently the DSA is responsible for setting standards for drivers and motorcyclists and for driving tests and VOSA is responsible for setting and enforcing vehicle safety standards. The roles of each will be encompassed under the single DVSA agency from 2014. The DVSA will be responsible for processing applications for licences to operate lorries and buses, operating testing schemes for all vehicles, and enforcing the law on vehicles to ensure that they comply with legal standards and regulations. It will also enforce drivers’ hours and licensing requirements, provide training and advice for commercial operators, investigate vehicle accidents, defects and recalls, and run tests for instructors of large goods vehicles, as well as driver trainers.